These Crisps did not much up like Regular Crisps. Neither did they break slowly and patiently like Hand Cooked Crisps. The meaty thickness did however allow for a firm and brisk gradual breakdown. 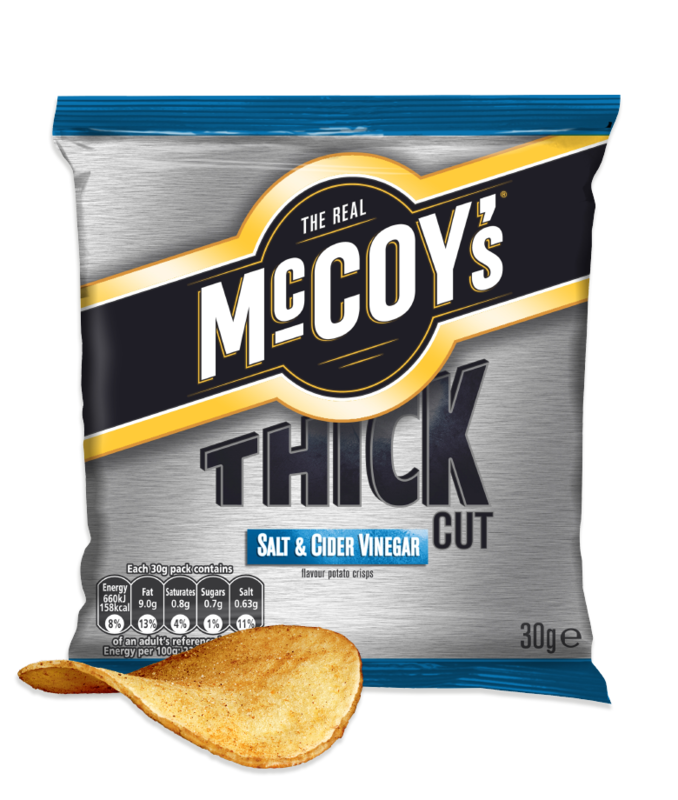 These were very thickly cut, relatively flat Crisps. This unfortunately affected the character. there were no oil boils and the texture was fairly even and not disrupted with seasoning. There was some skin on the edges of the muted yellow Crisps, though. These Crisps had a rather odd flavour. At first they seemed to taste like a rather odd flavoured Malt Vinegar and Salt Crisp, but on closer inspection we discovered the Cider Vinegar was adulterated with a variety of other ingredients. This mean't that it didn't quite taste like Cider Vinegar either. There was however a very warm and spritely sharpness of Salt with Vinegar.